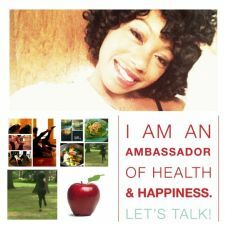 Find a BOSS Profile Business Profile for "Coach P."
Princess Carey is a Nutritionist and Wellness Coach from New Jersey. She is an active member of WEGO Health and The American Nutrition Association. Being effective in the health and wellness industry for over six years, her experience and continuous education has allowed her to properly inform her audience. Coach Carey is also a published writer. Her work can be seen on online-media outlets such as: American Nutrition Association’s blog, Yahoo healthy living, Afro Elle magazine, Jersey Girls Magazine and Biao Skincare website. She is a contributing expert on chickrx.com and galtime.com. Coach Carey has also worked with and built programs for her local YMCA in NJ. Customize nutritional meals and snacking according to the USDA guidelines and your system needs. Aromatherapy sessions- Our specialist teach you how to use aromas to help you sleep, relax and fight food cravings. Wellness Sessions - Includes Meal planning, fitness modality motivation, mind, body and spirit development; Using the five senses to produce total health and wellness. I offer sessions via skype!